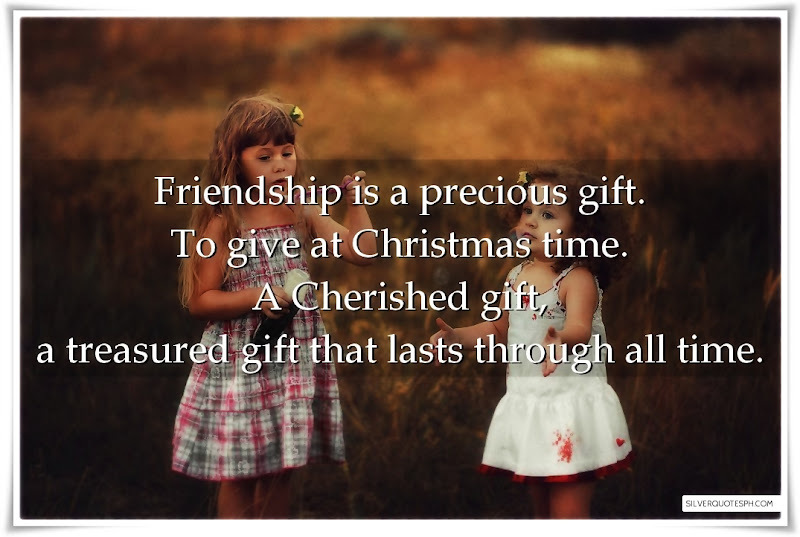 Friendship is a precious gift. To give at Christmas time. A Cherished gift, a treasured gift that lasts through all time.